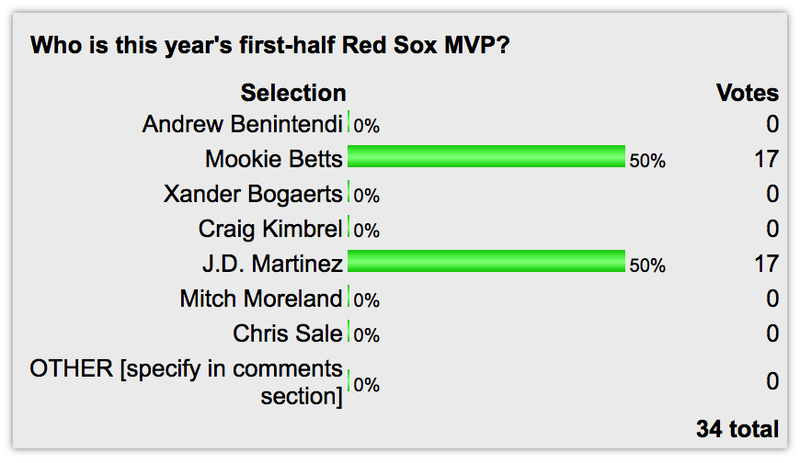 Very early voting in our latest FenwayNation Poll shows that readers are exactly divided on who should be considered the first-half MVP for the Red Sox. As the chart shows, 50% say Mookie Betts should be the MVP at the break, while the other 50% think the honor should go to J.D. Martinez. None of the other five candidates got any votes—including Andrew Benintendi, Xander Bogaerts, Craig Kimbrel, Mitch Moreland and Chris Sale. 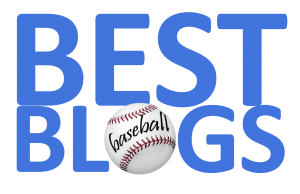 You can still cast your vote in the "First-Half MVP" poll HERE.